"Most of us ride this train every day. We nod, we say hello, but how much do we really know about each other?" Lionsgate has debuted the second trailer for the action-thriller train movie starring Liam Neeson, titled The Commuter. From the same director of Non-Stop (the airplane movie) and The Shallows, this movie is basically Unstoppable (the train movie) meets Non-Stop (or even Source Code). 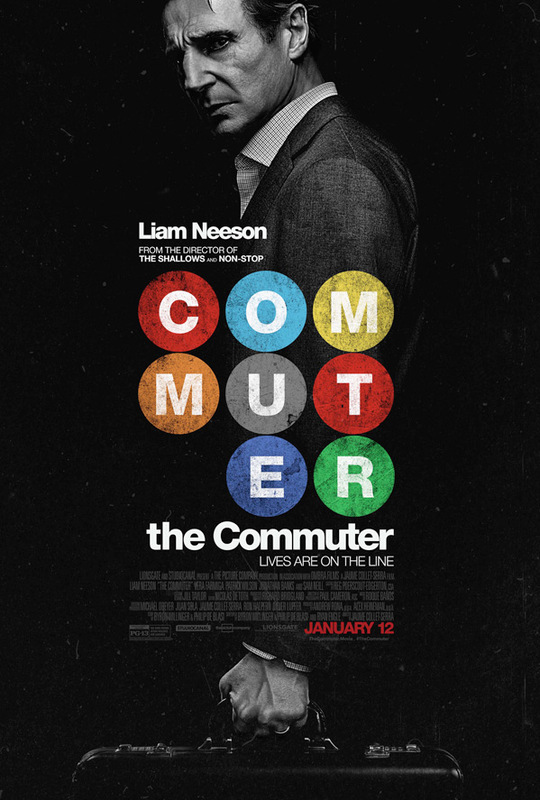 Neeson plays an insurance salesman who gets mixed up in a criminal conspiracy on his daily train commute home. Vera Farmiga, a "mysterious stranger", sits with him for a chat and things get very interesting. The cast includes Patrick Wilson, Killian Scott, Jonathan Banks, Sam Neill, Elizabeth McGovern, Florence Pugh, and Damson Idris. This looks like it has tons of action and will be intense to watch, I'm intrigued. Enjoy. You can still watch the first trailer + see the teaser poster for The Commuter here, for even more footage.